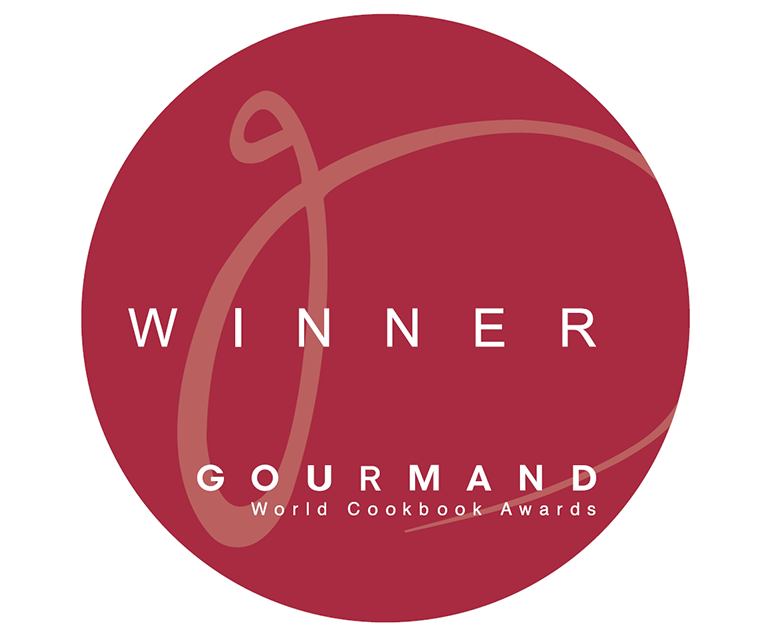 Welcome to Field to Fork Publishing. 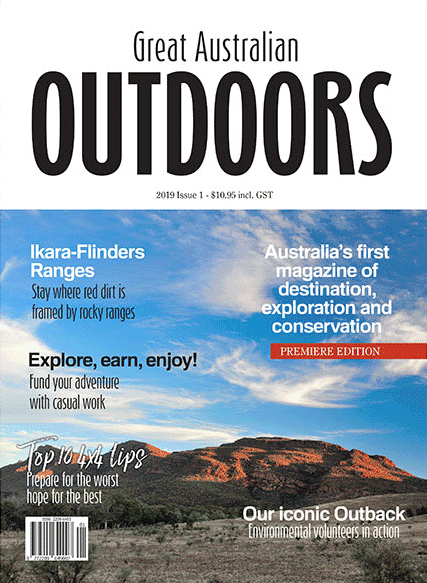 Welcome to the new and exciting Great Australian Outdoors magazine. 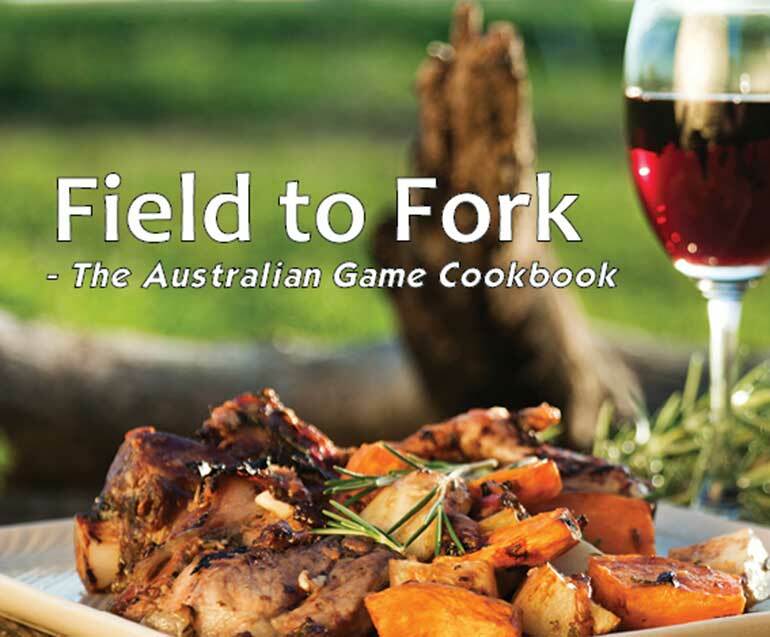 Field to Fork Publishing is proud to present this educational and entertaining outdoors magazine as a glossy perfect bound 140-page full colour annual. We uniquely consult with environmental experts, farmers, fishers and those charged with protecting Australia’s landscape to take an in-depth look at issues affecting Australia’s outdoors, along with showcasing beautiful destinations and providing travel tips, reviews and more. This high-quality coffee table style publication is out now. Great Australian Outdoors Great reading and very well presented. I'd say you've picked a niche that has been empty for a long time - all aspects of outdoor life, not just the PC stuff. Great Australian Outdoors I have just skimmed through the new mag. * what a great mag. * print is black and white not the trendy light grey which is so hard to read. * good photographs. * good ad balance. So when is the next one? Great Australian Outdoors I received the first edition and it's a fantastic magazine. Packed with great articles. 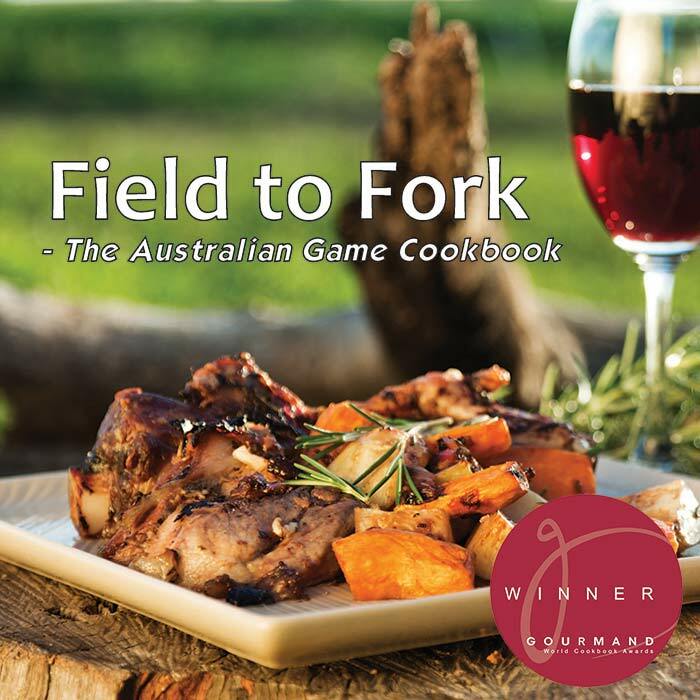 Field to Fork - The Australian Game Cookbook celebrates the abundance that is Australia and its rich and varied wildlife. Whether you’re on the coast and enjoying fresh seafood, in the High Country with wild venison, on the water with ducks or in the field with some quail, this cookbook will give you the perfect recipe to make a mouth-watering gourmet wild meat dish. Take the journey and learn to create beautiful meals from the abundance that is Australia and its rich and varied wildlife. Field to Fork Cooking brings together a selection of food, health and environmental topics to help you make informed and healthy food decisions beyond what’s available from the supermarket. 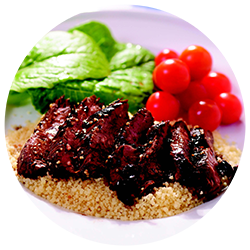 Kangaroo is best when served rare or pink in the middle, so take care not to overcook it. 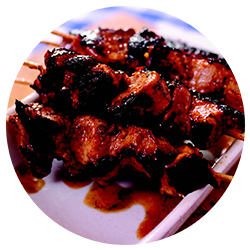 These satay skewers are great as an entrée served on their own or as a main course with steamed rice and stir-fried vegies. 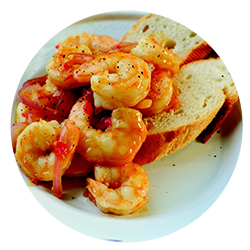 For a hotter, spicier flavour, substitute the sweet chilli sauce for 2 finely chopped red chillies, add 3 cloves of crushed garlic and serve with lime wedges. 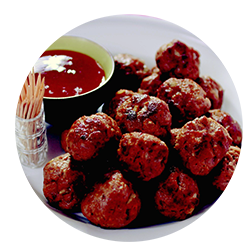 To serve as a main meal, form the bites into larger rissoles or patties and serve with mashed potato and other vegies. 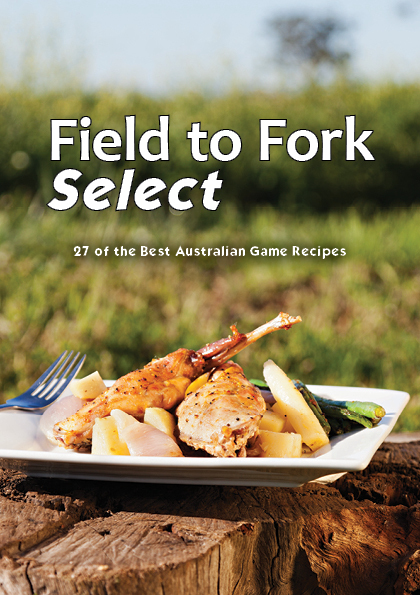 Field to Fork Select - The Australian Game Cookbook celebrates the abundance that is Australia and its rich and varied wildlife. 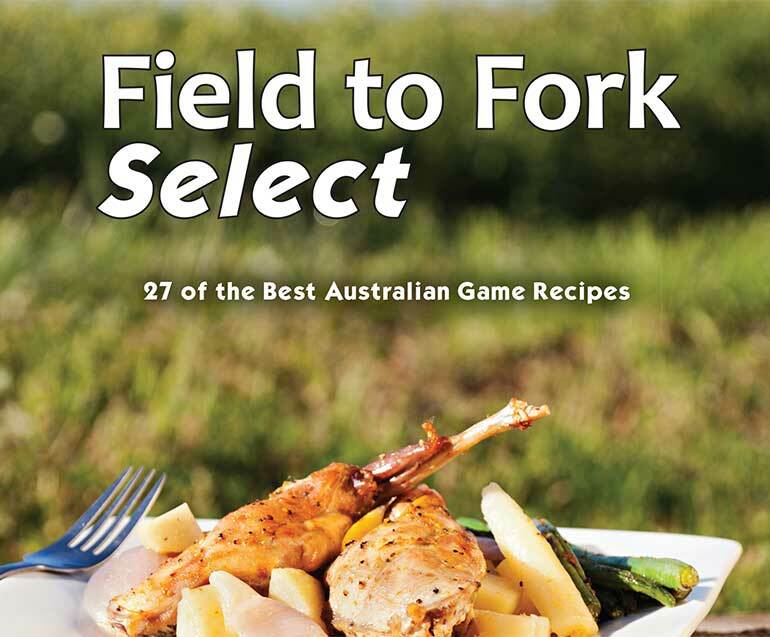 Field to Fork Select - a collection of 27 of the most popular recipes from Field to Fork - The Australian Game Cookbook.